Oil prices opened the final trading session of 2015 in a downbeat mood after record US crude inventories reinforced concerns over a global supply glut that has pulled down prices by a third over the past year. Crude inventories in the United States, the world's largest petroleum producer, rose 2.6 million barrels last week, the US Energy Information Administration said. Analysts polled by Reuters had expected a draw of 2.5 million barrels. Crude prices held losses after falling 3 percent in the previous session, with US West Texas Intermediate (WTI) crude futures CLc1 trading around USD 36.70 per barrel in early Asian hours on Thursday and Brent opening around USD 36.60 per barrel. The immediate outlook for oil prices remains bleak, with some analysts like Goldman Sachs saying prices as low as USD 20 per barrel might be necessary to push enough production out of business and allow a rebalancing of the market. Copper futures were trading tad lower in the domestic market on Wednesday as the sharp surge in prices in the previous session prompted traders, to book profits, in the industrial metal, at existing levels. Prices of the metal soared by nearly 3 per cent on Tuesday as reports that Chinese smelters may slash output by a total 200,000 metric tons next quarter to support prices, and speculation of further China stimulus after the People’s Bank of China said that it would "flexibly" use various policy tools to maintain appropriate liquidity, bolstered sentiment. 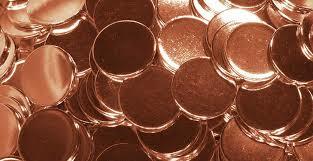 China is the world’s biggest consumer of copper, accounting for more than 40 per cent of the metal’s global consumption. At the MCX, Copper futures for February 2016 contract is trading at Rs 316.5 per kg, down by 0.05 per cent after opening at Rs 316.25, against the previous closing price of Rs 316.65. It touched the intra-day low of Rs 315.2. Silver futures were trading higher in the domestic market on Wednesday as investors and speculators booked fresh positions in the precious metal tracking a positive trend in the overseas market but trading volumes remained thin with most investors on the sidelines ahead of the New Year. The focus today will be on US housing data which may shape the outlook for US interest rates in 2016, affecting movement in precious metals which tend to get adversely affected by monetary tightening. US pending home sales index probably rose 0.5 per cent in November from October when it climbed 0.2 per cent, data may show today. 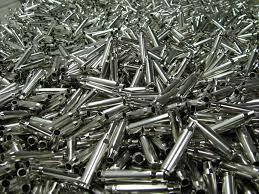 At the MCX, Silver futures for March 2015 contract is trading at Rs 33,595 per kg, up by 0.11 per cent after opening at Rs 33,656, against the previous closing price of Rs 33,558. It touched the intra-day high of Rs 33,696. (At 12:01 PM). Crude oil futures fell around half a dollar early on Wednesday as the market remained under pressure from slowing demand and high supplies, while forecasts that a cold snap in Europe and the United States would be short-lived also hurt prices. 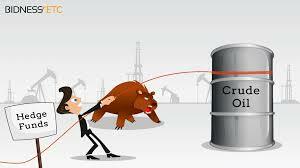 Crude prices have plunged by two-thirds since mid-2014 as soaring output from the Organization of the Petroleum Exporting Countries, Russia and the United States led to a global surplus of between half a million and 2 million barrels per day. More recently, a slowing demand outlook, especially in Asia but also Europe, has started dragging on prices. Front-month U.S. West Texas Intermediate crude futures were trading at $37.18 per barrel at 0140 GMT, down 69 cents or 1.82 percent from their last settlement. 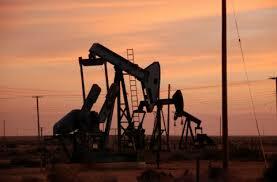 Brent futures were down 47 cents, or 1.24 percent, to $37.32 a barrel. Traders said the price falls were largely a result of a weak outlook for next year and the closing of 2015 trade books. "The 2016 outlook is for lower prices, especially early next year. Many are closing their last long positions for the year today as nobody wants to come back in January and be surprised badly. Better start with a clean sheet," a trader said. Forecasts that an upcoming cold weather in Europe will only be short-lived could also hurt crude prices. Crude oil futures came under renewed pressure early on Tuesday as fears of slowing demand added to near-record global production levels, which have already slashed prices by two-thirds since the middle of last year. Front-month US West Texas Intermediate (WTI) futures CLc1 were trading at USD 36.75 per barrel at 0105 GMT, down 6 cents from Monday's close. The international benchmark Brent LCOc1 was at USD 36.59 per barrel, down 3 cents from their last close and less than a dollar away from 11-year lows reached earlier in December. Both contracts are down by two-thirds since prices started tumbling in June 2014. While output from exporters like Russia, the Organization of the Petroleum Exporting Countries (OPEC) and US shale drillers has been at or near record highs, demand has so far held up strong, preventing oil prices from falling even lower. Gold struggled to recover from overnight losses on Tuesday as a relentless slide in oil prices dented demand for the metal, often seen as an inflation-hedge. Spot gold was little changed at $1,070.05 an ounce by 0116 GMT, after losing 0.6 percent in the previous session. Volumes remained thin in the last trading week of the year. In the absence of strong trading cues and liquidity, gold is likely to remain range-bound for the remainder of the week, tracking oil and currency markets. "Over the short-term, the precious metal will likely trend sideways, as funds look to close out the year and contemplate heading into next year with a fresh slate," said INTL FCStone analyst Edward Meir. Gold was sold off on Monday as oil fell more than 3 percent, with global benchmark Brent back near 11-year lows as last week's short-covering dried up and players worried that crude prices had more room to swoon in the new year. Oil prices fell on Monday after the long Christmas weekend, with U.S. crudes defending a newly gained premium over internationally traded Brent contracts in quiet trading ahead of the end of the year. Front-month U.S. West Texas Intermediate (WTI) futures were trading at $37.87 per barrel at 0311 GMT, down 23 cents from their last settlement. Brent was down 16 cents at $37.73 a barrel, meaning that U.S. crude defended a premium it gained over the globally traded benchmark last week. Trading volumes were down for both contracts in the post-holiday period. Only about 5,000 WTI contracts have changed hands so far during this trading session on Monday versus 8,953 contracts at this point in the trading session on December 7. The U.S. market tightened slightly in December following reduced drilling activity, withdrawals from near record crude stockpiles and the prospect of crude exports following a 40-year export ban. "The biggest adjustment to prices comes from WTI gaining premium over the Brent. This was mainly followed by the U.S. lifting its ban on crude oil exports," Singapore-based Phillip Futures said on Monday. The brokerage added that it expected "a quiet week ahead" with the biggest expected news for energy markets likely coming from U.S. inventory data to be published on Wednesday and Thursday. Gold edged up on Monday, adding to sharp gains from the previous trading session, as weakness in the dollar and equities helped the metal recoup some losses from a U.S. interest rate hike last week. Concerns that demand for non-interest-paying bullion will take a hit from the rate hike continue to cast a shadow, and will likely limit any rally in gold. Spot gold had ticked up 0.3 percent to $1,069 an ounce by 0339 GMT, adding to the 1.4 percent gain on Friday. "We believe that trading conditions will start to thin out, but that does not mean trading ranges will necessarily narrow," said INTL FCStone analyst Edward Meir. Liquidity will start to drop as trading enters the last two weeks of the year. "Given the uninspiring chart patterns, we have to suspect that the path of least resistance remains lower still for the precious group as a whole, exacerbated by a stronger dollar and a more aggressive Fed," Meir said. The metal saw some safe-haven bids on Friday after global equity markets fell sharply as slumping oil prices raised concerns about slower growth, while the dollar slipped against the yen on views the Bank of Japan may not ease policy as much as expected. But the outlook for the dollar is bullish as the Fed is set to hike rates further next year. Gold's Friday rally followed a 2 percent loss in the session prior to that, the metal's biggest single day loss in five months, as the Federal Reserve raised U.S. interest rates for the first time in nearly a decade. Brent crude prices fell on Monday to their lowest since 2004 on renewed worries over a global oil glut, with production around the world remaining at or near record highs and new supplies looming from Iran and the United States. Brent futures fell as low as USD 36.32 per barrel in overnight trading around 0000 GMT, the weakest since 2004, before edging back to USD 36.49 per barrel by 0203 GMT. US West Texas Intermediate (WTI) futures were down 20 cents at USD 34.53 per barrel and close to last Friday's 2015 lows. Both benchmarks are down more than two-thirds since mid-2014 when the rout began. Analysts said a strong dollar following last week's US interest rate hike, which makes oil consumption more expensive for countries using different currencies, as well as a renewed increase in US oil rig counts were weighing on crude prices. "The US oil rig count bounced back this week, up by 17 (to 541), putting an end to four consecutive weekly declines," Goldman Sachs said. Crude futures fell in Asian trading on Friday as fresh signs of inventory building and the Federal Reserves rate hike this week kept prices under pressure amid a global glut of oil that shows no sign of abating. 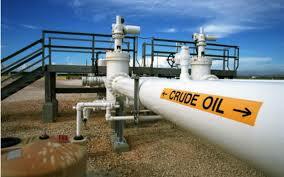 US crude's West Texas Intermediate (WTI) futures CLc1 were down 18 cents at USD 34.77 a barrel by 0104 GMT (8.04 am EDT). The contract fell 1.6 percent to USD 34.95 a barrel on Thursday. 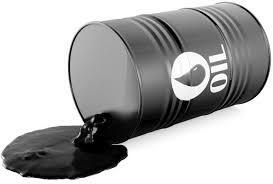 Brent LCOc1 fell by 19 cents to USD 36.87 a barrel. It fell 33 cents to USD 37.06 a barrel on Thursday. Both contracts are on track to post a third week of losses, with US crude down 2.4 percent and Brent off by 2.6 percent. WTI is less than 60 cents away from the low reached during the global financial crisis of USD 32.40 in December 2008, while Brent is less than 70 cents off its nadir of USD 36.20 the same month. Gold steadied on Friday but largely retained losses made a day earlier when the metal suffered its biggest slide in five months after the Federal Reserve hiked US rates for the first time in nearly a decade. * Spot gold ticked up 0.3 percent to USD 1,053.96 an ounce by 0051 GMT as the dollar eased on profit taking following sharp gains. * The metal slid 2 percent on Thursday, its biggest one day slide in five months. It is down 2 percent for the week in its worst weekly performance in six weeks. * Gold has come under intense sell off since the Federal Reserve raised the range of its benchmark interest rate by a quarter of a percentage point on Wednesday, ending a lengthy debate about whether the economy was strong enough to withstand higher borrowing costs. * The move sent the dollar to a two-week high on Thursday against a basket of major currencies. * On the other hand, gold saw little interest, with investors sending the yellow metal to USD 1,047.25 in the previous session, close to a near-six-year low. * Gold has tumbled 11 percent this year, largely on uncertainty around the timing of the rate rise and on fears that higher rates would hit demand for the non-interest-paying metal. * Many are predicting further drops. 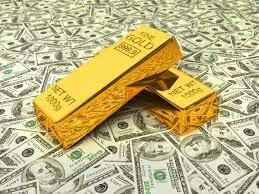 Gold is likely to test the key USD 1,000 level soon, technical analysts said. * Assets in SPDR Gold Trust, the world's top gold-backed exchange-traded fund, fell 0.70 percent to 630.17 tonnes on Thursday, the lowest since September 2008. Crude futures fell in Asian trade on Thursday, adding to sharp losses the previous session after the Federal Reserve raised rates for the first time in nearly a decade and official figures showed a surprise build in U.S. inventories. West Texas Intermediate for January delivery, the front-month contract, was down 12 cents to $35.40 a barrel by 0248 GMT after finishing down nearly 5 percent on Wednesday. Brent crude for February delivery, the front-month contract from Thursday, fell 21 cents to $37.18. The global benchmark fell $1.34 to $37.39 the previous session. "Last night's inventory data from the U.S. was clearly unsettling," said Ric Spooner, chief market analyst at CMC Markets in Sydney. "We are now seeing signs of the U.S. dollar getting stronger in our time zone as well, following on from the Fed," he said. The dollar added almost 1 percent to 98.812 against a basket of major currencies and looked set for another test of stiff resistance around the 100.00 mark. The U.S. Fed hiked interest rates for the first time in nearly a decade on Wednesday, a sign it believes that the U.S. economy had largely overcome the calamity that was the 2007-2009 financial crisis. Higher U.S. rates typically support the dollar, making oil and other commodities denominated in the greenback more expensive, undermining demand. Gold slipped on Thursday, giving back some of its overnight gains, in choppy trading after the Federal Reserve raised US interest rates for the first time in nearly a decade. The US central bank's policy-setting committee raised the range of its benchmark interest rate by a quarter of a percentage point, ending a lengthy debate about whether the economy was strong enough to withstand higher borrowing costs. Gold has slumped nearly 10 percent this year, largely on uncertainty around the timing of the US rate hike and on fears that higher rates would hit demand for the non-interest-paying precious metal. Though the Fed decision removes an overhang for gold prices, the focus now shifts to the central bank's pace of future rate increases. 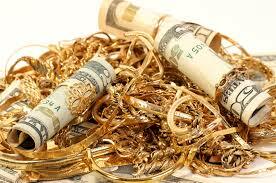 Spot gold dipped 0.2 percent to USD 1,070.70 an ounce by 0037 GMT. The metal had rallied before the Fed decision on Wednesday and managed to hold on to most gains post the central bank statement, ending the day up 1.2 percent. 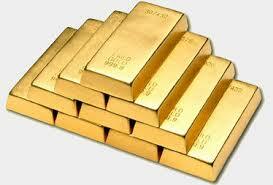 US gold GCcv1 fell 0.6 percent to USD 1,070.50, following a 1.4 gain in the previous session. US oil prices fell in Asian trade on Wednesday, snapping two days of gains that pulled crude back from testing 11-year lows, as investors awaited the outcome of a Federal Reserve meeting that will likely raise interest rates. 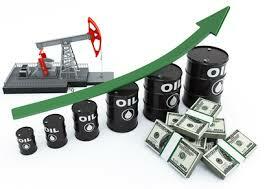 West Texas Intermediate fell 50 cents to USD 36.85 a barrel by 0048 GMT after rising more than USD 1 on Tuesday. It fell to USD 34.53 on Monday, the lowest since it financial crisis bottom of USD 32.40, before ending the day higher. Brent had yet to trade. The contract settled up 53 cents at USD 38.45 a barrel on Tuesday, closing higher for the first in eight days. On Monday, the global oil benchmark came within 14 cents of a December 2008 bottom of USD 36.20, unleashing a surge of buying support. The Federal Reserve on Tuesday started a two-day meeting where it is expected to raise rates eight years after a devastating recession opened an era of loose US monetary policy. A rise in rates is typically negative for oil prices because a hike is likely to prop up the greenback, making crude contracts more expensive as they are denominated in dollars. Marketmagnify provide tips and advices to our clients by sms/calls/chat. 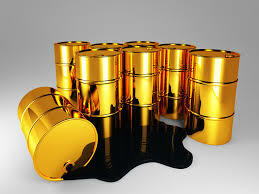 We have dedicated team of analysts and we are providing reliable and valuable tips on stock, commodities. 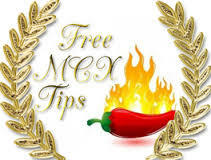 We believe in our customer satisfaction by giving them successful results.We provide high accurate Mcx Tips at very reasonable price to help small traders and investors to make decent money. Fill OUR FREE TRIAL We cover all types of services all segment. Chana settled down by -1.35% at 4736 as ample stocks position in the physical market on improved supplies following government measures weighed. Since imposition of the stock holding limits on pulses by the states, 1.3 lakh tonnes of pulses have been seized till December 2. As per data release by Agriculture Ministry, pulses planted on 100.4 lakh hac, lower by 7 per cent compared to last year acreage as on now. The acreage under chana reported higher in Maharashtra and Andhra Pradesh compared to last year’s acreage but lower in Rajasthan as per data released by respective state agriculture department. India has imported 3.07 lakh tonnes (lt) of Chana until September in the current financial year. 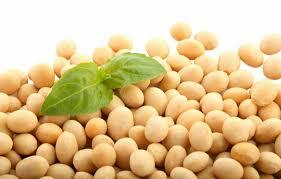 Chana trading range for the day is 4635-4881. Chana settled down as ample stocks position in the physical market on improved supplies following government measures weighed. Since imposition of the stock holding limits on pulses by the states, 1.3 lakh tonnes of pulses have been seized till December 2. As per data release by Agriculture Ministry, pulses planted on 100.4 lakh hac, lower by 7 per cent compared to last year acreage as on now. 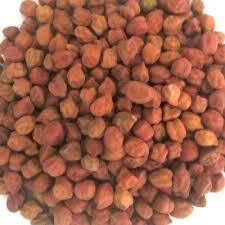 In Delhi spot market, chana gained by 16.65 rupee to end at 5166.65 rupee per 100 kgs. Copper settled down -0.18% at 310.40 while the session was another muted session as investors positioned for a looming US rate hike. While slowly outlook improving as some bearish traders left the market after a major US copper producer cut supply. Copper prices may see support after the update that mining giant Glencore announced wider spending cuts as the commodities group races to cut debt and shore up its balance sheet. The Swiss-based company cut its capital expenditure for 2016 to $3.8 billion, from an earlier estimate of $5 billion. Glencore said last month it will cut 55,000 metric tons of copper output by the end of 2017, the latest in a string of supply cuts. In September, the firm said it would reduce copper production from mines in Zambia and the Democratic Republic of Congo by 400,000 tons. Copper trading range for the day is 307.1-313.1. Copper dropped as demand from China wanes and as traders cut risk ahead of a U.S. Federal Reserve meeting next week. However downside was limited after mining giant Glencore announced wider spending cuts as the commodities group races to cut debt and shore up its balance sheet. Glencore said last month it will cut 55,000 metric tons of copper output by the end of 2017, the latest in a string of supply cuts. OPEC pumped more oil in November than in any month since late 2008 and forecast little increase in demand for its crude next year, pointing to a larger supply surplus even as low prices hurt rival producers. The Organization of the Petroleum Exporting Countries in a report also forecast supply from non-member countries will fall more sharply next year, which would suggest its strategy, reaffirmed last week of defending market share, is working. OPEC's report follows an acrimonious OPEC meeting on Dec. 4, where it rolled over a policy of pumping crude to safeguard market share, despite oil prices that have more than halved to $40 a barrel in 18 months due to excess supply. A year ago, Saudi Arabia pushed though an OPEC decision to defend market share instead of cutting output to support prices, hoping to slow growth in rival supplies such as U.S. shale oil. "U.S. tight oil production, the main driver of non-OPEC supply growth, has been declining since April," OPEC said in the report. "This downward trend should accelerate in coming months given various factors, mainly low oil prices and lower drilling activities." Supply outside OPEC is expected to decline by 380,000 barrels per day (bpd) in 2016, the report said, as output falls in regions such as the United States and former Soviet Union. Last month, OPEC predicted a drop of 130,000 bpd. But OPEC also increased its 2015 non-OPEC supply growth forecast by 280,000 bpd, citing upward revisions to output from the United States, Brazil, Russia and the UK, among other countries. The slump in oil prices to levels not seen since the global financial crisis has fanned expectations of deflation, hammered economies of producers and flattened share prices of once high-flying energy companies. But according to one analyst, lower oil prices could actually help some emerging market economies and refiners by lifting disposable incomes and improving margins. "Cheaper feedstock costs will support refining margins, while lower import costs will encourage greater consumer spending, driving economic growth in the emerging economies," said Peter Lee, Oil & Gas Analyst at BMI Research on Tuesday. US WTI and Brent crude oil prices are trading around seven-year lows, tanking after OPEC last week decided not to cut its 30-million-barrel a day production ceiling to support depressed energy prices. Major producers of refined fuels in Asia include South Korea, Singapore, Japan and Taiwan that rely on crude oil imports to supply the sector. "Regional demand for oil products at the higher-end of the barrel, notably gasoline and naphtha, remains strong, providing opportunities for refiners to capitalize on higher margin products," said BMI's Lee. Crude prices rose on Wednesday as Japan posted stronger than expected machinery orders and China announced an easing of some import taxes, lending the market at least temporary support in an environment of general oversupply. 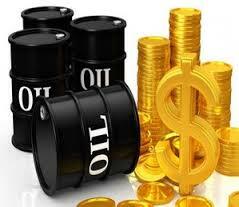 U.S. crude futures were at $38.08 per barrel at 0209 GMT, up 57 cents from their last settlement. 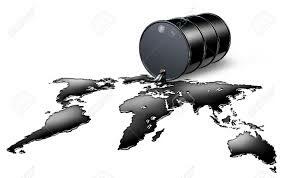 Internationally traded Brent futures were up around half a dollar at $40.74 a barrel. Traders said the recovery on Wednesday was largely a result of short covering, a surprise lift in Japanese machinery orders and Chinese tax reforms aimed at encouraging imports of advanced equipment, energy raw materials, and key assembly components. Yet analysts said there remained a plethora of bearish factors that have helped pull down commodity prices since 2014, including the strong dollar, weakening global demand, soaring supplies and the unwinding of a quantitative easing (QE) premium with the U.S. Federal Reserve expected to hike rates soon. "Whatever the case, a CRB index hovering around 13-year lows and oil prices close to seven-year troughs suggest that commodity producers in general are doing it tough," ANZ bank said, referring to the Thomson Reuters Core Commodity CRB Index falling below 178 points for the first time since 2003. Gold clung to small overnight gains on Wednesday, supported by softness in the dollar, but the metal's upside was limited as investors anticipated a Federal Reserve rate hike next week. * Spot gold was little changed at $1,075.20 an ounce by 0042 GMT, after rising 0.4 percent on Tuesday as the dollar slid against a basket of major currencies. The metal is less than $30 away from a near-six-year low reached last week. * Bullion traders are not optimistic of a sustained rally in prices as the Fed is widely expected to raise U.S. rates for the first time in nearly a decade at its next policy meet on Dec. 15-16. * Higher rates are expected to dent demand for non-interest-paying gold, which has already lost 9 percent of its value this year in anticipation of the rate hike. * Investors are boosting bets gold will soon drop to $1,000 an ounce, options data show, ahead of next week's Fed meeting. * Weakness in oil could trigger fears of deflation, a bearish factor for gold, which is often used as a hedge against oil-led inflation. * Stock markets worldwide slipped on Tuesday, weighed down by weak China trade figures. * The currencies of major commodity producers such as Australia and Canada nursed hefty losses early on Wednesday after suffering big falls in the past two days from a selloff in oil and bulk commodities. Gold struggled to recover from overnight losses on Tuesday on expectations of a Federal Reserve rate hike next week and a robust dollar. 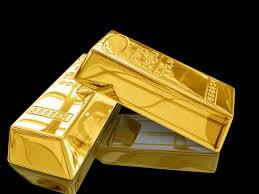 * Spot gold was little changed at $1,071.52 an ounce by 0009 GMT. It fell as much as 1.6 percent on Monday to hit a session low of $1,069.66. * Friday's strong U.S. nonfarm payrolls data supported widely held market views that the Fed would hike interest rates for the first time in nearly a decade later this month. * Gold gained 2.3 percent on Friday on short-covering immediately after the data, but with the focus back on the rate rise next week, investors sold off the metal on Monday. * The dollar extended gains against a basket of major currencies on Monday, helped by the jobs data and the looming rate hike, further weighing on bullion. * Higher rates tend to drag on non-interest-paying gold by increasing the opportunity cost of holding it, while boosting the dollar. * Bullion has lost about 9.5 percent for the year, its third straight annual decline, on expectations of the rate hike. * Investor sentiment has been downbeat. Assets in SPDR Gold Trust <GLD>, the world's largest gold-backed exchange-traded fund, tumbled 0.65 percent to 634.63 tonnes on Monday, the lowest since September 2008. 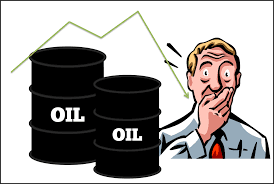 * Oil prices skidded to their lowest level in nearly seven years on Monday as a global glut showed no signs of abating. Stock markets fell. US oil prices finished at their lowest level since February 2009 in New York trade as markets continue to reel from OPEC's refusal last week to cut back production. The January contract for West Texas Intermediate crude sank USD 2.32 to USD 37.65 a barrel on the New York Mercantile Exchange, a drop of 5.8 percent. In late-afternoon trade in London today, Brent North Sea crude also was languishing near 2009 lows. The Organisation of the Petroleum Exporting Countries - which pumps about 40 percent of the world's crude oil - decided on Friday against cutting output to raise prices. The 13-member OPEC cartel took no action to shore up the market and observers said it appeared to be in disarray. "The decision by OPEC members to keep oil production output at record high levels has seen oil prices plummet again," said Sanjiv Shah, chief investment officer of Sun Global Investments. Soyabean settled down -0.34% at 3770 on weak demand for Indian soymeal in export market. India soymeal exports in the month of December plunged 91.95% from a year earlier on higher prices of the soybean in the local market, data released from Solvent Extractors Association of India (SEA) showed. Soybean oilmeal exports dropped to 8,909 tons in November compared to 110,806 tons for the corresponding period a year earlier, data from SEA of India showed. Meanwhile, export of soybean meal is at a historical low during current year and reported 55,889 tons during the first eight months of the financial year 2015-16 compared to 250,904 tons in the previous year. Prices were also down on weak demand after USDA weekly export sales reported fall in net sales for 2015-16 by 35% to 1.17 million tons on week and 18% fall from 4-week average. India soymeal exports in the month of October dropped 85.42% from a year earlier on higher prices of the soybean in the local market, data released from Solvent Extractors Association of India (SEA) showed. Soyabean trading range for the day is 3708-3844. Soyabean prices ended with losses on weak demand for Indian soymeal in export market. India soymeal exports in the month of December plunged 91.95% from a year earlier on higher prices of the soybean in the local market. NCDEX accredited warehouses soyabean stocks gained by 3212 tonnes to 48419 tonnes. 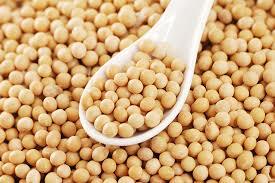 At the Indore spot market in top producer MP, soybean dropped -42 rupee to 3701 rupee per 100 kgs. Zinc settled up 0.98% at 103.15 after a report showed U.S. employers added more jobs than forecast in November, boosting demand prospects. The rise in payrolls followed a gain a month earlier that was bigger than previously estimated, while the jobless rate held at a seven-year low, a government report showed. Even before Friday's release, data indicated that the U.S. labor market added more than 200,000 monthly jobs on average this year. The unemployment rate in November held steady at 5.0%, while average hourly earnings ticked up by 0.2%. Combined zinc inventories in Shanghai, Tianjin and Guangdong added 10,300 to 323,800 tonnes this past week. Tianjin’s zinc inventories fell only slightly. Shanghai saw zinc inventories grow on large inflows of imported zinc and normal supplies from zinc smelters. 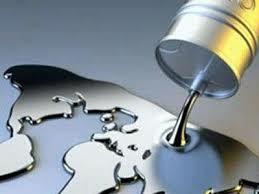 Zinc trading range for the day is 100.9-105.5. Zinc settled up after a report showed U.S. employers added more jobs than forecast in November, boosting demand prospects. The rise in payrolls followed a gain a month earlier that was bigger than previously estimated, while the jobless rate held at a seven-year low. Zinc weekly stocks at Shanghai exchange came down by 519 tonnes. 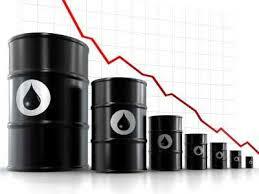 Crude oil slid nearly 3 percent on Friday, as Organization of Petroleum Exporting Countries (OPEC) refused to cut production levels despite an ongoing supply glut that has pressed down mightily on prices. And at this point, traders don't appear to see crude oil rising back above USD 50 per barrel any time soon. With the most widely traded Brent crude contract trading just above USD 40, the first futures contract that shows oil above USD 50 expires in the second half of 2017. 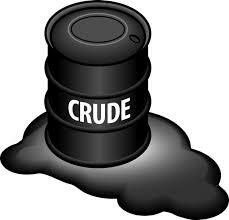 Crude oil for December 2017 delivery (which is more liquid than other far-in-the-future contracts) is trading at just USD 51 per barrel. Futures contracts don't reflect pure expectations of where that commodity will trade; they also reflect things like the costs of storing that commodity, the extra price that users will pay to have access to the commodity for convenience reasons, and prevailing interest rates. Yet the crude oil futures curve clearly reflects expectations that the commodity's plunge below USD 50 is not a short-term phenomenon. "The futures curve is telling you that the market is totally oversupplied, and will remain so for a long time," commented Andy Hecht, a commodities trader and the author of How to Make Money with Commodities. The latest bad news for crude came on Friday, when the OPEC decided to take a "wait and watch" approach to production levels, rather than taking action as oil prices continue to plummet. That spelled bad news for oil bulls who may have been hoping the oil cartel might signal a policy shift. Gold ticked up for a third session on Wednesday, buoyed by short covering following a dip in the dollar and soft U.S. manufacturing data. * Spot gold edged up 0.1 percent to $1,070.60 an ounce by 0036 GMT, after gaining about 1 percent in the past two sessions. * U.S. manufacturing contracted in November for the first time in three years, sending the dollar sliding from an 8-1/2 month high reached on Monday. * The weakness in the dollar provided some support for the greenback-denominated gold and an opportunity for investors to cover short positions. Hedge funds and money managers are holding a record net short position in COMEX gold contracts, data on Monday showed. * Despite the recent gains, the outlook for gold remains bearish due to a looming U.S. rate hike. * The Federal Reserve is widely expected to raise U.S. rates this month for the first time in nearly a decade. * Bullion fell to a near-six-year low last month and posted its biggest monthly drop in 2-1/2 years in November as investors believed higher rates could weaken demand for non-interest-paying bullion. * U.S. stocks closed higher on Tuesday despite mixed U.S. economic data as treasury yields and the dollar declined while oil prices were choppy ahead of an OPEC meeting later this week. * The U.S. dollar nursed broad losses early on Wednesday, having retreated from a multi-month peak as bulls got cold feet after U.S. manufacturing contracted in November for the first time in three years. OPEC's plan to shake up the world oil market may have backfired for now. Just a year ago, the Organization of the Petroleum Exporting Countries decided to let market forces determine the price of oil, rather than its own production quotas. Conventional thinking then was that the US oil patch would be littered with bankruptcies, and production would collapse. As for Russia, the world's largest energy producer would be forced to cut back production by hundreds of thousands of barrels this year due to both the weakness in oil prices and the impact of Western financial sanctions. But the results have turned out very different. Instead of falling off, production increased from where it was last year, and the world is still swimming in oil. The three biggest producers — Russia, the United States and Saudi Arabia — have in fact been adding more than 1 million barrels a day more to the market in the past year. Gold clung to small overnight gains on Tuesday but was within striking distance of a nearly six-year low, pressured by a robust dollar and a looming U.S. interest rate hike. 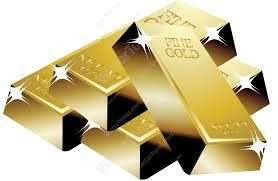 * Spot gold was little changed at $1,064.66 an ounce by 0036 GMT, after gaining 0.5 percent on Monday. * But the metal wasn't far from $1,052.46, its lowest since Feb. 2010 hit last week. Bullion also posted its biggest monthly drop in 2-1/2 years in November with a 7-percent decline. * Investors have been positioning for a U.S. rate hike, expected this month at the Federal Reserve's Dec. 15-16 policy meet, by selling non-interest-paying gold. * The dollar, on the other hand, was on the cusp of reaching its highest in nearly 13 years against a basket of currencies on Tuesday, piling more pressure on greenback-denominated gold. * A U.S. payrolls report on Friday will be closely watched for clues about the strength of the economy and its impact on the Fed's monetary policy. A strong number, after a surge in job growth in October, could cement expectations that the U.S. central bank will deliver its first hike in almost a decade. * Hedge funds and money managers raised their net short position in COMEX gold contracts to the biggest on record in the week to Nov. 24, U.S. Commodity Futures Trading Commission data showed on Monday. U.S. crude futures inched down on Monday, amid a stronger dollar as investors continue to await Friday's critical OPEC meeting for potential shifts in supply-demand dynamics on global energy markets. On the New York Mercantile Exchange, WTI crude for January delivery traded in a broad range between $41.52 and $42.60 a barrel on Monday, before settling at $41.63, down 0.09 or 0.20% on the day. After jumping above $42 in U.S. morning trading, U.S. crude futures pared earlier gains in the afternoon session reversing territory just before the close. Despite a significant rally in late-November, WTI crude futures still closed the month down by roughly 9%. On the Intercontinental Exchange (ICE), brent crude wavered between $44.51 and $45.74 a barrel before closing at $44.58, down 0.27 or 0.59% on the session. North Sea brent futures ended the month with a four-day losing skid, closing November down by approximately 8.5%. Meanwhile, the spread between the international and U.S. domestic benchmarks of crude stood at $2.95, below Friday's level of $3.12 at the close of trading. Gold was trading close to its lowest level in nearly six years on Monday and was poised to record its worst monthly slide in 2-1/2 years on prospects of a U.S. interest rate hike this year. * Spot gold was little changed at $1,057 an ounce by 0028 GMT, after dropping 1.2 percent in the previous trading session. The metal was within striking distance of $1,052.46, the lowest since February 2010, reached on Friday. * Bullion has lost about 7.5 percent of its value in November, its steepest monthly fall since June 2013. * The precious metal has fallen out of favour as investors position themselves for the first U.S. rate hike in nearly a decade. The Federal Reserve is expected to raise rates at its next policy meeting in December. * Investors believe gold, as a non-interest-paying asset, will take a hit to demand from higher rates as the dollar gains. * The greenback is already trading near an eight-month high, and further strength could hurt dollar-denominated gold. * Assets in SPDR Gold Trust, the world's top gold-backed exchange-traded fund, fell 0.14 percent to 654.80 tonnes on Friday, the lowest since September 2008. 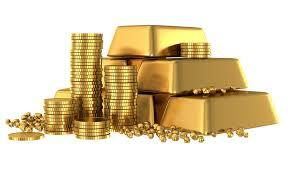 * For trading cues this week, bullion traders would be focussed on the U.S. nonfarm payrolls report due on Friday. A strong jobs report could seal the case for a rate hike at Fed's Dec. 15-16 meeting. * The European Central Bank policy meeting on Thursday will also be eyed for impact on the currency markets. The ECB is widely expected to ease policy. * Elsewhere, gold miners in Australia, emboldened by a weakening currency, have been increasing production in the face of a global rout in the precious metal, figures released on Sunday showed. Here's another sign that investors are getting tetchy about the performance of precious metals such as gold. According to Bank of America Merrill Lynch's weekly flows report, investors yanked USD 1 billion from precious metals funds in the week to Nov. 25, the chunkiest outflow in 17 weeks. Data this week were based on four days of fund flows as opposed to the normal five due to Thanksgiving holiday, the bank said. 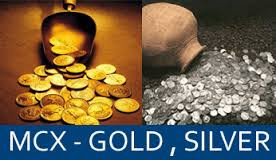 Precious metal funds typically focus investments in companies that mine, explore or deal in gold and other metals such as silver and platinum, the prices of which have been under the cosh recently. Gold is currently trading at USD 1,072 an ounce, near its lowest level since February 2010. 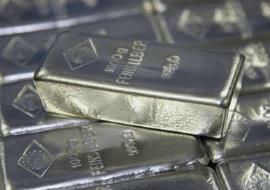 Platinum, meanwhile, is close to a seven-year trough at USD 852 an ounce. Investment-grade bond funds saw outflows of USD 2.6 billion, the heftiest in eight weeks, while investors piled into money market funds, as shown by USD 12 billion of inflows. Emerging markets continued to be unloved as well. More money has fled emerging markets equity funds than has entered for the past four weeks, while bond funds have seen outflows in 17 of the past 18 weeks, the data showed. Turmeric settled down -3.99% at 9424 due to lower upcountry demand at the spot market. Though, some losses were capped as traders are keen in buying the quality turmeric, and arrival of quality turmeric from the producing belts. As per latest sowing data from various state departments, turmeric sowing in Andhra Pradesh was 15,753 hectares, an increase over last year’s acreage but well below the normal sowing area of over 19,000 hectares. In Telangana, turmeric has been planted in 40,823 hectares, about 17 per cent lower than the normal sowing area. Similarly in Maharashtra and Karnataka the acreage dropped by about 25-30 per cent to 7,000 hectares and 12,000 hectares respectively. However, due to better irrigation facilities and sufficient rains, acreage in Tamil Nadu increased by 10-12 per cent compared to last year to over 50,000 hectares. 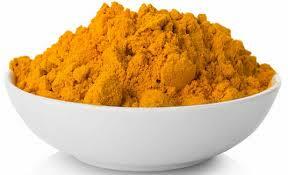 The traders are keen in buying the quality turmeric and so grower brought quality turmeric for sale. Turmeric trading range for the day is 9140-9992. Turmeric prices ended with losses due to lower upcountry demand at the spot market. Though, some losses were capped as traders are keen in buying the quality turmeric, and arrival of quality turmeric from the producing belts. NCDEX accredited warehouses turmeric stocks dropped by 526 tonnes to 5043 tonnes. In Nizamabad, a major spot market in AP, the price ended at 9745 rupees dropped -78.8 rupees. Soyabean settled up 0.34% at 3840 due to drop in production from the major producing belts along with tightening supplies. However, an additional margin of 5 percent on soybean futures imposed by the National Commodity & Derivatives Exchange (NCDEX) capped some gains in soyabean prices. The USDA has recently estimated Brazil production 2.4% higher versus last year’s. Already the USDA report released on November 10 was bearish for the global market. The 2015/16 U.S. season-average soybean price is projected at $8.40 to $9.90 per bushel, unchanged from last month. Soybean meal prices are also unchanged at $310 to $350 per short ton. The 4th estimate released by the GOI indicated lower than the estimated production for Indian soybean. Soyabean trading range for the day is 3730-3932. Soyabean prices ended with gains due to drop in production from the major producing belts along with tightening supplies. However, an additional margin of 5 percent on soybean futures imposed by the National Commodity & Derivatives Exchange (NCDEX) capped some gains. NCDEX accredited warehouses soyabean stocks gained by 1122 tonnes to 29332 tonnes. At the Indore spot market in top producer MP, soybean dropped -13 rupee to 3733 rupee per 100 kgs. Copper settled down -0.68% at 300.15 as expectations of higher interest rates in U.S., broadly stronger U.S. dollar and slower global economic growth weighed. Prices of the red metal were down as fears of a China-led global economic slowdown and a stronger greenback slammed commodities. Data showed that the U.S. economy grew more than initially estimated in the third quarter, supporting the case for a rate hike next month. Inbound shipments of refined copper are expected to drop in November. 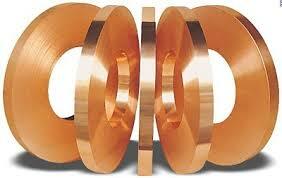 Growing supply of domestic refined copper, weak demand and no import profits will combine to reduce import demand. As the year-end nears, domestic copper smelters are expected to increase output to meet production target, in addition to support from the rise in spot TCs for copper concentrate, which rose to $100 per tonne in October, and this will grow refined copper supply in China. Copper trading range for the day is 294.6-305.6. Copper prices seen under pressure as expectations of higher interest rates in U.S., broadly stronger U.S. dollar and slower global economic growth weighed. Prices of the red metal were down as fears of a China-led global economic slowdown and a stronger greenback slammed commodities. Data showed that the U.S. economy grew more than initially estimated in the third quarter, supporting the case for a rate hike next month. Gold hovered close to its lowest in nearly six years on Thursday, as the dollar held at multi-month highs and U.S. economic data reinforced market expectations of an interest rate hike this year. 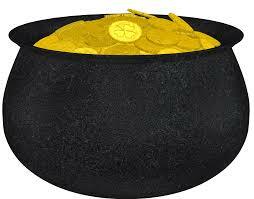 * Spot gold was little changed at $1,070.80 an ounce by 0031 GMT, after dropping 0.4 percent on Wednesday. The metal had fallen to $1,064.95 last week, the lowest since February 2010. * Data on Wednesday showed that U.S. manufacturing output rose well above economists' expectations in October, while business spending plans surged. New applications for unemployment benefits dropped last week. * Though other data showed only a small increase in U.S. consumer spending in October, it did little to alter views that the economy was strong enough for the Federal Reserve to raise rates at its next policy meeting in December. * Higher rates would dent the appeal of non-interest-paying bullion, while boosting demand for the dollar. * The dollar climbed to its highest in eight months against a basket of major currencies on Wednesday on the robust U.S. data. * A stronger greenback makes dollar-denominated gold expensive for holders of other currencies. * Gold had seen some safe-haven bids earlier in the week after Turkey downed a Russian fighter jet, stoking tensions between the two countries, but have faded since as investors fretted over the U.S. rate hike. * Asian shares advanced in early trade on Thursday, while growing bets the European Central Bank was gearing up to deliver further stimulus steps kept the euro under pressure. No major data on tap for Thursday. U.S. markets shut for Thanksgiving holiday. Crude futures surged more than 2% amid intensifying global political discord, after Turkey downed a Russia fighter jet on the Syrian border on Tuesday morning. On the New York Mercantile Exchange, WTI crude for January delivery traded in a broad range between $41.84 and $43.45 a barrel, before settling at $42.92, up 1.17 or 2.80% on the session. At one point on Tuesday, Texas Long Sweet futures reached their highest level in two weeks before paring some of the gains late in the session. After slipping below $39 a barrel last week, the front month contract for U.S. crude has jumped by more than 6% over the last two sessions. On the Intercontinental Exchange (ICE), brent crude for January delivery wavered between $44.93 and $46.49 a barrel before settling at $46.16, up 1.33 or 3.00% on the day. With the considerable gains, North Sea brent futures moved above $46 a barrel for the first time in nine sessions. Meanwhile, the spread between the international and U.S. domestic benchmarks of crude stood at $3.24, above Monday's level of $3.08 at the close of trading. Gold languished near its lowest level in nearly six years on Tuesday, while silver and platinum also held near multi-year lows on a strong dollar and increasing expectations that the Federal Reserve would increase U.S. interest rates next month. * Spot gold was little changed at $1,069.67 an ounce by 0042 GMT, after losing 0.8 percent in the previous session. The metal had fallen to $1,064.95 last week, its lowest since February 2010. * U.S. gold was also near a six-year low of $1,062 reached last week. * Silver steadied after slumping to $13.86 on Monday, the lowest since August 2009. Platinum was close to $839.50 reached in the previous session, its lowest since December 2008. * The precious metals have been hit by strength in the dollar and expectations that the Fed would hike rates in December for the first time in nearly a decade. * Demand for bullion and the other metals that do not pay any interest could be hurt by higher rates. * San Francisco Fed President John Williams on Saturday cited a "strong case" for raising rates when Fed policymakers meet next month, as long as U.S. economic data does not disappoint, echoing other officials. Nonfarm payrolls data earlier this month also supported views of a strong economy. * The dollar rose to an eight-month high on Monday on hopes of a hike next month. 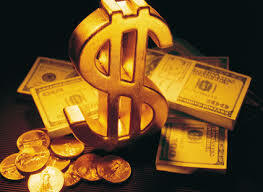 A strong greenback makes dollar-denominated gold and other metals more expensive for holders of other currencies. * Investors have been pulling out of precious metals funds at a rapid pace, further hurting sentiment. * Holdings of platinum ETFs are at a two-year low, while assets in palladium funds are close to their lowest since April 2014. * World equity markets slipped on Monday, with U.S. stocks ending slightly lower in quiet trading after strong gains last week. Comments from Saudi Arabian officials stirred speculation OPEC could be considering abandoning its market-based pricing strategy, but the cartel is unlikely to change policy and it heads into next week's meeting less relevant than ever. Oil surged Monday on remarks from Saudi officials that the country is willing to work with oil producing and exporting countries, both inside and outside of OPEC to maintain market and price stability. 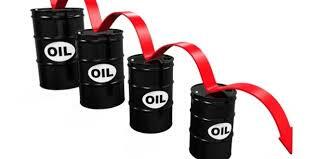 West Texas Intermediate crude futures shot higher after the comments but then fell back and fluctuated. "It's really just short covering. The Saudi comments are a reminder to the market that the Saudis aren't powerless, but OPEC is overall for sure. At some point, the sell-off will be vulnerable to a production response. The fact of the matter is if they really do cut production by a million or 2 million barrels, the market would react to that. 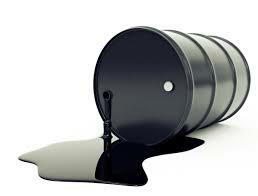 I don't think they're ready to do that yet," said oil analyst John Kilduff of Again Capital. The comments echo others made by Saudi officials. But they did come a day after Venezuela's oil minister said OPEC cannot allow a price war and must act to stabilize prices. He said oil could go as low as the "mid-USD 20s." Turmeric settled down -1.15% at 9788 as pressure seen due to profit booking after prices seen supported due to persistent rains in south peninsula since last two weeks may damage turmeric crop in Tamilnadu and Karnataka. However, rains recorded in Telangana and Andhra Pradesh may enhance the production of Turmeric. Turmeric crop in Maharashtra is experiencing moisture stress in some parts. As per dept of commerce data, turmeric exports during April-Aug, 2015 pegged at 38,774 tonnes while the export for the 2014-15 is 90,738 tonnes compared to 78,360 tonnes in FY14. As on latest sowing data, turmeric sowing In AP, is recorded at 15,864 hectares increase over last years’ acreage as well normal sowing area progress however in Telangana, the sowing area is lower than the normal sowing area at 40,823 hac compared to 43,470 hac last year. Spot turmeric prices increased at Erode markets on demand. Turmeric trading range for the day is 9642-10026. Turmeric dropped as pressure seen due to profit booking after prices seen supported due to persistent rains in south peninsula since may damage turmeric crop. However, rains recorded in Telangana and Andhra Pradesh may enhance the production of Turmeric. NCDEX accredited warehouses turmeric stocks dropped by 30 tonnes to 5520 tonnes. In Nizamabad, a major spot market in AP, the price ended at 9787.5 rupees remains unchanged at0 rupees. Soyabean settled down -1.31% at 3919 amid prospect of ample South American supply too weighed on soyabean prices. As per the recent SEA data, export of soybean meal is at a historical low, reducing to 46,980 tons compared to 140,098 tons during the first seven months of the financial year 2015- 16. India’s vegetable oil imports jumped 24 per cent in oil year 2014-15 (Oct- Nov). As per COOIT, India is likely to produce 7.2 mt of soybeans in 2015, a dip of 15.3 percent over the last year, because of patchy rains in the top two producing states. However, as per the data release by SEA, for April—September period of the 2015—16 fiscal, soybean meal exports dropped sharply to 42,743 tonnes from 1,11,027 tonnes in the year— ago period. Argentina’s 2015/16 area under soybean is forecasted at 20.6 million hectares by the agriculture ministry, the first estimate of the season, in the monthly report. However, Rosario Grain Exchange had estimated 20.5 million hectares which is higher than their previous season’s estimate of 20.2 million hectares. Soyabean trading range for the day is 3859-4013. Soyabean prices ended with losses amid prospect of ample South American supply too weighed on soyabean prices. As per the recent SEA data, export of soybean meal is at a historical low, reducing to 46,980 tons compared to 140,098 tons. NCDEX accredited warehouses soyabean stocks gained by 1364 tonnes to 25476 tonnes. At the Indore spot market in top producer MP, soybean dropped -24 rupee to 3794 rupee per 100 kgs. Nickel settled down -3.07% at 574.4 as prices seen under pressure as China's slowing growth, and a poor outlook for its struggling steel sector ramped up pressure on the glut-hit metal. Chinese steel demand shrank around 6 percent in January-October, according to the China Iron and Steel Association. Global nickel markets ended in small deficit of 39,000 tonnes in January-September 2015 with apparent demand exceeding production. The calculated full year surplus had stood at 241,800 tonnes in the whole of 2014, according to the latest data released by the World Bureau of Metal Statistics (WBMS). The statistics indicate that that reported stockpiles maintained by LME were 37,700 tonnes higher at the end of September this year from the closing levels of 2014. World Nickel mine production was 1,404 kt in January-September 2015, 118 kt lower when compared with the corresponding period during previous year. The ban on exports by Indonesian administration has led to reduced mine output from the country. Nickel trading range for the day is 555.3-607.9. Nickel prices ended with losses as China's slowing growth, and a poor outlook for its struggling steel sector ramped up pressure on the glut-hit metal. Global nickel markets ended in small deficit of 39,000 tonnes in January-September 2015 with apparent demand exceeding production.